The Nebraska Alliance supports the growth/sustainability of Nebraska’s child advocacy centers while promoting system improvements for abused and neglected children, ultimately enhancing our statewide victim response. $10 provides one week of peer review for CACs Forensic Interviewers who conducted close to 5,000 forensic interviews last year! $25 provides one month of in-person peer support and training for CAC Advocates to expand services for at-risk families! $50 helps us to be able to create an informational presentation to educate the public about the important work of CACs! $100 provides training materials to investigative team members to build their resiliency when faced with stressful or traumatic situations! The mission of the Nebraska Alliance of Child Advocacy Centers is to enhance Nebraska’s response to child abuse. This means caring for not only child victims and their families, but also the professionals who work tirelessly every day to keep children safe and help them find healing and justice. Years of investigating cases of children who are sexually abused by adults they trust, cases of severe physical abuse, and more, take their toll. First responders to child abuse and neglect cases often experience vicarious trauma and secondary traumatic stress. This stress affects them individually, often impacting their personal mental health and home lives. It also influences their ability to continue the important work they do and their professional relationships. This year, the Nebraska Alliance of Child Advocacy Centers piloted “Building Resiliency” training across the state to ninety-six professionals from child protective services, law enforcement, prosecutors, mental health and medical providers and child advocacy center staff. This training gave these professionals the tools they need to understand how trauma impacts their work. It also provided them with tools to take individual and collective action to better support those responding to child abuse and neglect. Training participants reported they enjoyed the team-building activities, having a non-judgmental safe environment for sharing, and felt the training was valuable. 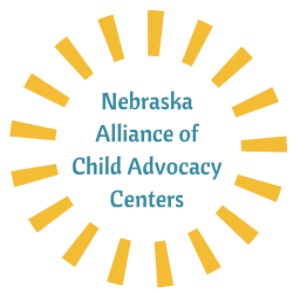 Due to its success, the Nebraska Alliance of Child Advocacy Centers will continue to offer this training and engage professionals in healthy ways to face adversity.